It can be difficult to find the perfect makeup brushes to fit in your everyday makeup routine. I have tried many different brushes, and have been able narrow it down to my all-time favorites, in which I use in my everyday makeup routine. Sigma Beauty Duo Fibre - F50: Specially designed to generate an airbrushed finish when used to apply liquid foundation. It can also be used to apply blush, highlight shades and loose pigments. Blend of synthetic and natural bristles. My routine: Besides using my beautyblender, my favorite way to apply liquid foundation is with this duo fibre brush. The process is fairly quick and easy. I ppump quarter size a amount of foundation onto the back of my hand, dip the very tip of the bristles into the foundation, gently stipple the foundation all over my face, and softly blend the foundation using swirling motions. 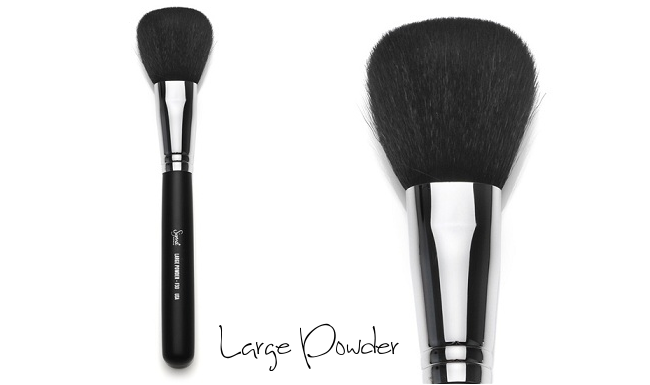 Sigma Beauty Large Powder - F30: Very dense with a rounded top. Ideal to apply powder products on face and body. Natural bristles. My routine: After applying foundation, I use this brush to apply powder. I use loose powder. I tap a tiny amount of powder into the cap, swirl the brush into the powder, tap off the excess, and apply the powder all over my face using patting motions. 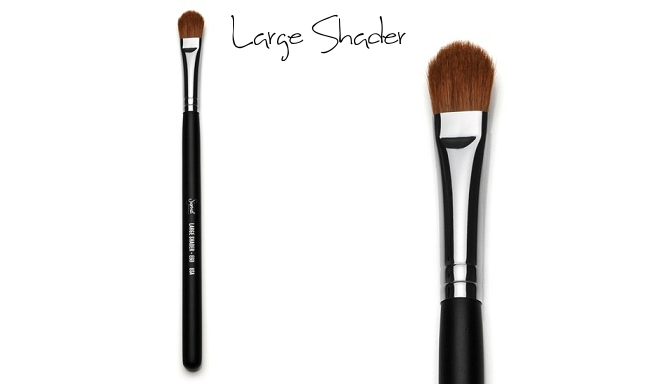 Sigma Beauty Large Shader - E60: Flat shape is ideal for application of cream formulas and eyeshadow primers. It also works great with loose eyeshadows or pigments. Can be used to apply color all over the lid or precisely on the lash line. Natural bristles. My routine: I love using this brush, because it grabs more eye shadow, resulting in a more pigmented color—and without any fallout! All I do is dab the brush into an eye shadow and pat the color onto my lid until I achieve the desired pigmentation! This is my favorite brush for building color! 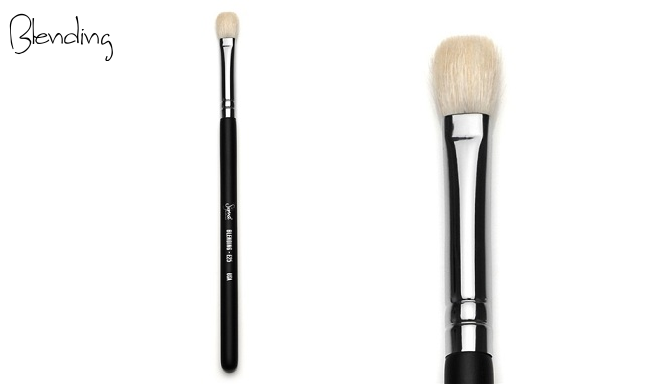 Sigma Beauty Blending - E25: Oval-shaped brush with gently chiseled sides. Blends and softens the look of powder or cream shadows. Ideal to apply eyeshadow primer, base eye shadow colors, and blend harsh lines. My routine: I use this brush to blend out eye shadow from my lid to my crease, using circular and swiping motions. This brush blends out eye shadow amazingly—great for creating a gradient effect! 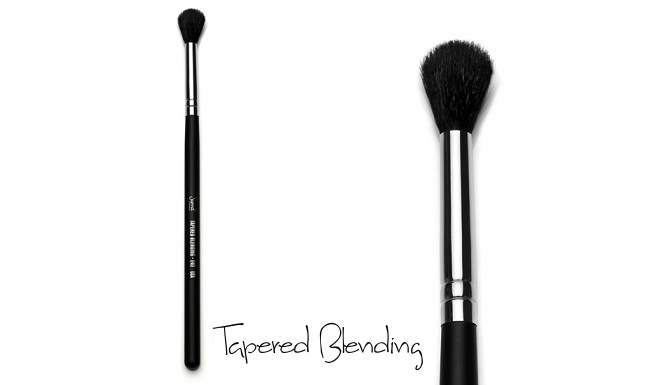 Sigma Beauty Tapered Blending - E40: Rounded and tapered top. Specially designed to apply and blend color on the crease. Natural bristles. My routine: I love using this brush for highlighting under the brow. It makes for a quicker application due to its larger size. Sigma Beauty Pencil - E30: Precise application of color on the crease, outer corner, and upper and lower lash line. Also ideal to smudge out pencil liner. Natural bristles. My routine: When applying eye shadow underneath my lash line, I like using this brush for precise application. It is such a small brush, that I do not need to worry about messing up my eye shadow. This brush is also great for applying highlighter to the inner eye. 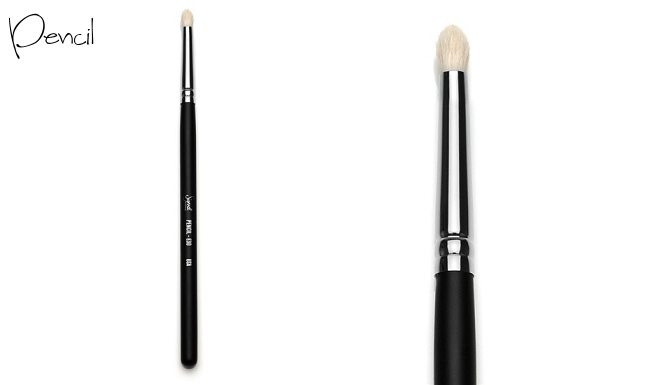 Sigma Beauty Small Tapered Blending - E45: Small domed brush with highly tapered tip. 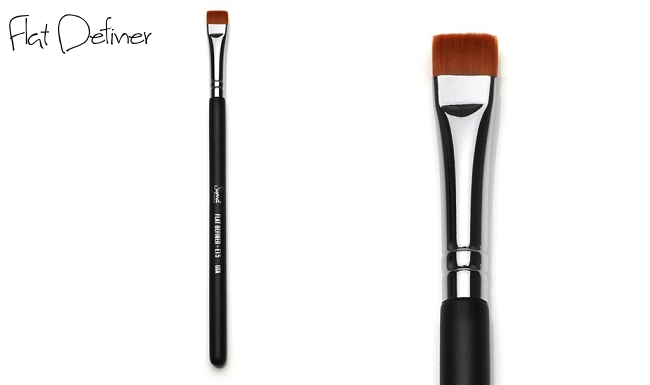 Versatile, this brush can be used to precisely apply and blend intense colors to the crease area. My routine: After applying eye shadow under my lash line, I use this brush to blend it out using swiping motions. Easy as that! Sigma Beauty Small Angle - E65: Essential for the application of gel or cream eyeliner on the upper and lower lash line. This brush is also excellent for filling out the eyebrows. Synthetic bristles. My routine: This brush is excellent for applying eyeliner! I use it to apply a gel liner to my upper and lower lash line, as well as my lower water line. 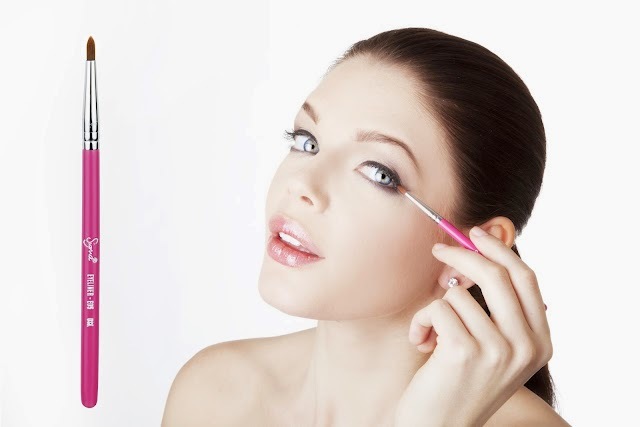 After applying eyeliner, I go back and use the same brush to apply a powder eyeliner, or simply a dark eye shadow color, to blend out the gel liner for a less harsh appearance and a smokey effect. 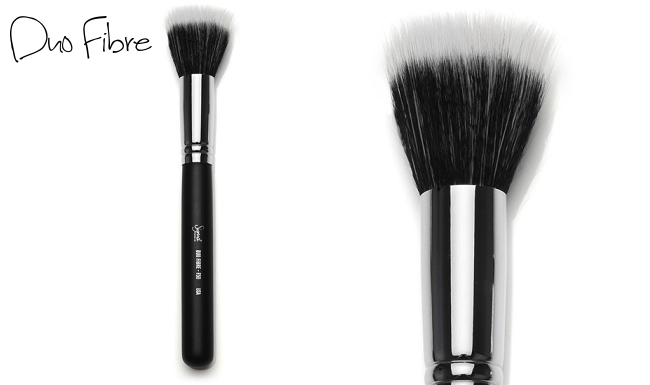 This brush is perfect for achieving a cat eye! 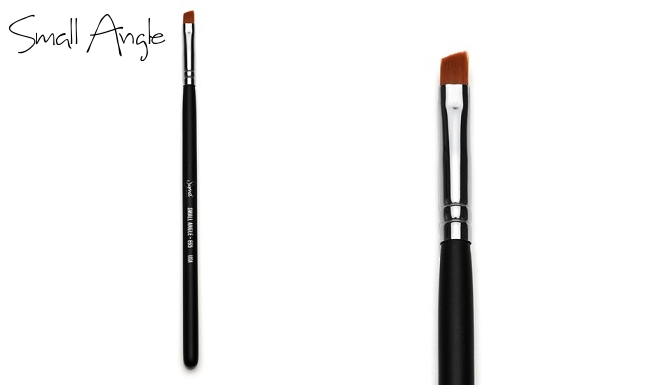 Sigma Beauty Flat Definer - E15: Small, firm, and flat, this unique brush can be used to line the eyes for instant definition. Can be used with powder, liquid, or cream products. My routine: I use this brush to darken my eyebrows, using a powder brow color, or a dark eye shadow color. 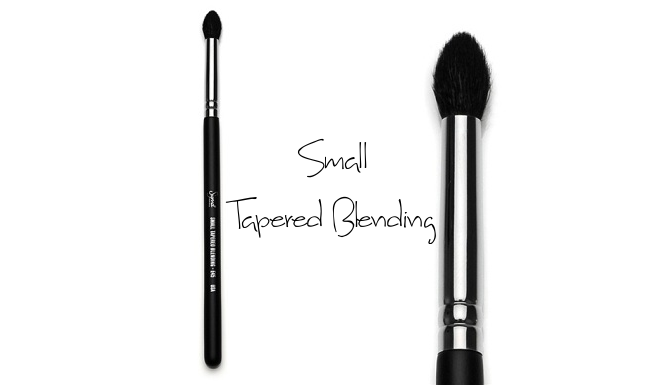 This brush blends the powder extremely well, making for a natural brow look. For the month of April, Sigma Beauty is offering a new free gift with all purchases over $30! The pink travel-sized E05 eyeliner brush delivers a precise stroke to line the eyes. Enter the code (APRIL2012) at checkout for 10% off your entire Sigma Beauty purchase - valid 4/20-4/30! *Disclosure: Actions taken from the hyperlinks within this blog post may yield commission for valleyfash.blogspot.com. See Valleyfash's disclosure policy for details. Great post! I am a makeup brush addict, this really helped me. I also love your blog, I followed! I would love it if you would check out my blog at www.foreverfuchsia.com, thanks!